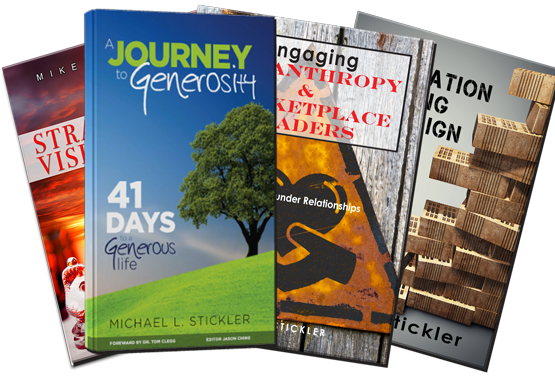 Generosity is a critical aspect of all Christian ministries. It is essential to healthy discipleship and central to following Jesus. Join us in this six part online course as we explore how to develop a culture of generosity in your ministry context. The Culture of Scarcity and Consumerism: As men and women come into the Church and the saving grace of Christ, they bring with them the culture of the world. Nothing is more prevalent than the culture of scarcity and consumerism in our society. In this opening session, your instructor will help identify the tension points between the expectations of the capitalist system and the life in Christ. Your instructor will help you to pinpoint and mitigate these tension points to open your ministry’s congregants and supporters to align with a biblical pattern of thinking. The Need for a Vision: A clearly defined, effectively communicated, and widely shared vision that becomes attractive and worthwhile to its constituents is required for a growing and effective ministry. In this session, your instructor will help ministry leaders understand the difference between an idea and a vision, how to clearly define a ministry vision, and how to work to establish that vision into the DNA of the ministry. Creating opportunities of generosity requires a clear and compelling vision. It’s the spine of the entire movement. Ministries often fail because of a fundamental lack of vision or lack of communicating consistently that vision to their constituents. This can cause mission drift. This session will set the tone for the remainder of the day. Building a Team of Generous Ambassadors: In order to drive your generosity vision to become a bright, living reality, it will take a team of Generous Ambassadors. Rarely does this team exist within the operation of your ministry. In this session, your instructor will help you identify the right mix of individuals to be those ambassadors. Changing the Culture: Generosity is not a church program or merely an adjective that is tacked on to an existing ministry vision. It must, in fact, be infused into the DNA of every area of ministry. In this session, your instructor will help you identify the key leverage points to affect culture change, to open the entire congregation to the conversation of generosity, and to change your ministry into a new way of thinking and responding to generous opportunities.There’s an old saying if you don’t establish the culture, the culture will establish itself. Here’s your chance to impact your community in a profoundly significant manner by changing the way your constituents think and respond. Engaging Philanthropists and Marketplace Leaders: Within every ministry is a segment of supporters who are often significantly overlooked and, therefore, under-challenged. These are the philanthropists and marketplace leaders. Frequently, ministry leaders simply misunderstand their felt needs and challenges. Consequently, we regularly operate under a false belief that this segment of our ministry has its spiritual and temporal life together when in fact, under the veneer of material comfort, these people often struggle with the worldview of an immature believer.In this session, your instructor will help you identify the needs of philanthropists and marketplace leaders, understand their unique communication style, and learn how to best minister to this group. Celebrating Generosity: Now that we’ve helped you identify the problems, build your vision, establish your team, begin changing the culture, and found a ministry to your marketplace leaders, you can watch your ministry bear fruit. This fruit will now become contagious to the vision of your ministry.In this session, your instructor will give you practical and field-tested insights on how to communicate–and celebrate–ordinary and extraordinary acts of generosity. Imagine a middle school child sacrificing his allowance and recruiting others to do likewise to sponsor a Compassion child. Or watch a family donate the proceeds from the sale of their vacation home for God’s purpose. These and hundreds of other examples will encourage and motivate a lifestyle of generosity for the Glory of His Kingdom and will soon become part of your increasingly generous and fruitful ministry. All this for Only $49 or $15/mo!